Prior to the merger with CBRE, as Chairman and CEO of Insignia/ESG, Mr. Siegel was largely responsible for masterminding the expansion of the firm nationwide as well as throughout Europe, Japan, Hong Kong, China, Thailand and Latin America. In that role, he also managed a group that completed approximately $2 billion in co-investments in a wide range of U.S. office, residential, hotel and retail real estate portfolios. Mr. Siegel initially rose to prominence in the industry at Cushman & Wakefield, where he became President and CEO at age 37. Throughout his distinguished career, Mr. Siegel has arranged multimillion-dollar transactions for some of the nation’s most prominent corporate clients. Most recently, he represented Hudson’s Bay Company, parent company of Saks Fifth Avenue, in the consolidation and relocation of its U.S. headquarters to 410,000 square feet at Brookfield Place, a transaction that included space at 225 Liberty and 250 Vesey streets, as well as an 85,000-square-foot Saks Fifth Avenue anchoring Brookfield Place. In another recent high-profile deal, Mr. Siegel represented L’Oréal on its 407,000-square-foot headquarters relocation to the Related Company’s 10 Hudson Yards. He is a member of the agency leasing team for 7, 4, 3 and 2 World Trade Center. Mr. Siegel negotiated Gucci Group’s lease at Trump Tower in Manhattan—the most valuable retail deal then completed—on behalf of The Trump Organization, a transaction recognized by the Real Estate Board of New York as 2006’s Most Creative Retail Deal of the Year. 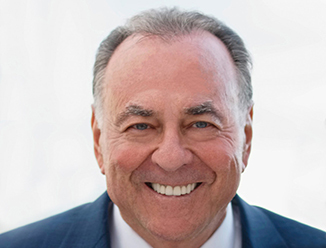 He also advised Hudson Waterfront Associates, a partnership of several overseas investors, on the acquisition of 1290 Avenue of the Americas for $1.25 billion, and then re-sold it one year later to Vornado Realty Trust. In addition, Mr. Siegel arranged the $306 million sale of the parcel on the southeast corner of 42nd Street and Eighth Avenue, the last developable site within the 42nd Street Development Project, to SJP Properties, which constructed Eleven Times Square, a one-million-sq.-ft. office property, on the site. Renowned in the industry not only for the amount of deals he has closed but for his philanthropic activity, Mr. Siegel has been called by The Wall Street Journal “the most generous person in the industry,” and at one point in his career sat on more than 16 nonprofit boards. Most recently, in 2015 he was celebrated, along with fellow honorees Queen Latifah and Danny Meyer, for his contributions to the Young Women’s Leadership Network’s CollegeBound Initiative, a program that creates opportunities for low-income students to attend college, and serves nearly 13,000 students each academic year. Frequently quoted in major newspapers, Mr. Siegel has been profiled in The Wall Street Journal, LEADERS Magazine, the Commercial Observer and the Real Deal, most recently in March 2016. He is regularly among the Commercial Observer’s Power 100—a yearly ranking of the most powerful people in New York commercial real estate—and has been named by Crain’s as one of the 100 Most Influential Business Leaders in New York City, as well as counted among the top ranks of the BisNow “Superbroker 50.” In 2005, Mr. Siegel was featured in the Urban Land Institute’s book, Leadership Legacies: Lessons Learned from Ten Real Estate Legends and, in 2011, he was featured in the best-selling Commercial Real Estate Brokers Who Dominate: Eight Traits of Top Producers. Mr. Siegel has also been honored with Commercial Property News’ Lifetime Achievement Award.